(Ducks and Geese Exploitation - Foie Gras - 01) This is a scene that the farmers don't want the public to see, though in this case, the farmer was bragging about how he force-feeds the geese in the traditional method. To keep the goose still during this painful process, the goose was placed in a box on which the man sat. 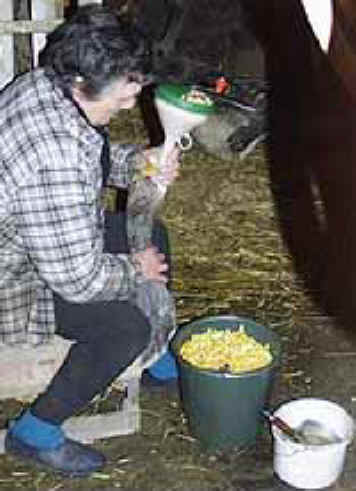 He then grabbed the neck of the goose and forced a large feeding tube down his throat.